Book now and get 20% off listed prices. Offer valid until Apr 29, 2019. 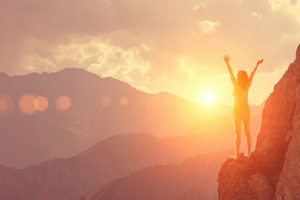 Gratitude is part of every spiritual tradition, and now modern science shows that it enhances every aspect of our health—physical, mental, and emotional. 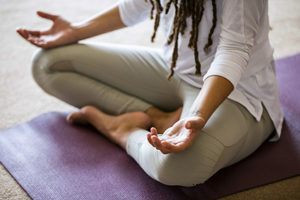 Yoga as a Peace Practice, the first national initiative of the Black Yoga Teachers Alliance, addresses the impact of trauma and violence on communities. Bring your children with you this weekend! While you enjoy your program, you can feel confident that the kids will be well looked after by our experienced staff and entertained through a variety of fun activities. Arts and crafts, music, dance, drama, hiking, and games will keep them busy and laughing throughout the weekend. In addition, they’ll learn about ashram life, Integral Yoga, and Sri Swami Satchidananda. 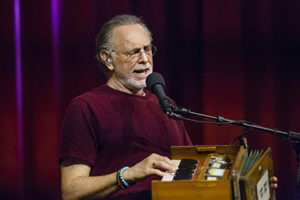 As part of his annual Yogaville 4-Day Retreat, Krishna Das will perform a special concert for the Saturday night Satsang. All are welcome. Book now and get 20% off listed prices. Offer valid until May 13, 2019. Ancient Yoga wisdom still holds relevance for current times. 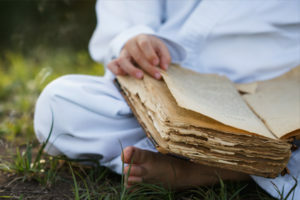 Join Trace Sahaja Bonner for a delightful, activity-based weekend exploring the ancient texts of Yoga and how they can be utilized in our modern, daily lives. Join Rina Jakubowicz as she shares Yoga secrets for finding and maintaining balance both in Yoga practice and daily life. Immerse yourself in the nourishing, restorative, and transformative practice of Yoga Nidra, or yogic sleep, during this practical workshop. Join Dianne Bondy in an accessible Yoga workshop designed to help you bridge the divide of social limitation and experience the inclusive nature of Yoga. 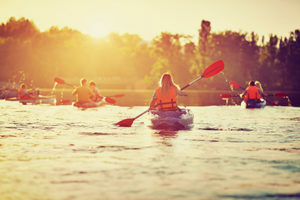 Join Bhaskar Deva for an invigorating weekend of Yoga and kayaking down the peaceful James River—connecting with nature and yourself. The author of the groundbreaking book Yoga for Depression guides you through evidence-based Yoga practices for managing your mood. LifeForce Yoga® interweaves the power of an ancient discipline with current scientific findings to help you release what is no longer serving you—without a story attached! 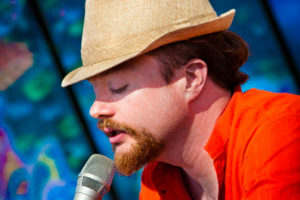 Join critically acclaimed spiritual music artists Sean Johnson and The Wild Lotus Band for a Bhakti Yoga and creativity immersion that will open your heart. 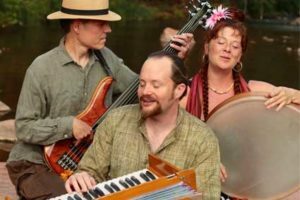 Join us for a concert with Sean Johnson and the Wild Lotus Band, one of the guiding voices of kirtan music in the United States. 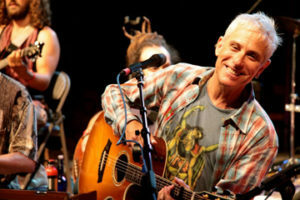 As part of their Bhakti Yoga and Creativity Immersion, Sean Johnson and the Wild Lotus Band will perform a special concert for the Saturday night Satsang. All are welcome. Join the Revs. 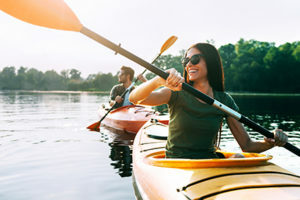 Metro for a time of renewal, rekindling of hearts, and emotional intimacy with your beloved during this couples retreat. It may seem that there’s nothing you can do about the speed of change in your life and the world around you. Yet you have more control than you may think. Join Gary Kraftsow in a workshop designed for students and teachers of all levels who are interested in gaining a deeper understanding of asana (Yoga posture). You too can make happiness a habit. This weekend will illuminate how the Yoga Sutras of Patanjali can be used as a handbook for happiness. Join Yogaville's senior sannyasi and beloved teacher, Mataji, for a basic meditation workshop to establish and develop your practice. Guided by Biff Mithoefer, author of The Yin Yoga Kit, you will practice Yin Yoga to bring health to your body and balance to your busy, Yang-style life. Joyful Movement is a powerful practice that combines the principles of the Alexander Technique with the age-old practice of the Joint Freeing Series. In this Yin Yoga training, you will look at our journey as a human through the archetypes of Warrior, Healer, Teacher, and Visionary. This workshop provides a foundational understanding of neuroscience to explain how and why Yoga works for healing the body, mind, and emotions. with Julie Lusk, E-RYT 500, M.Ed. 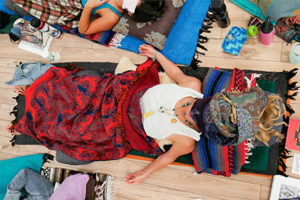 Attending this Yoga Nidra training will give you the tools and resources needed to lead others effectively in Yoga Nidra and avoid dangerous pitfalls. 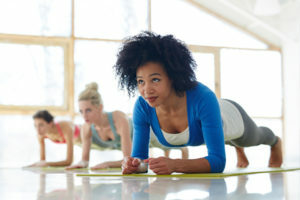 Yoga has been shown to enhance bone health and strength. 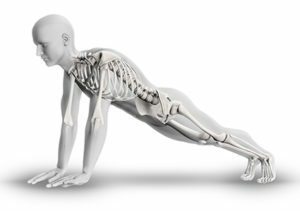 Join us for a midweek seminar to discover how Yoga can help you build and maintain strong bones. 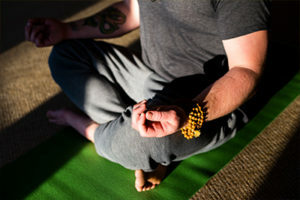 Yoga of Recovery® is the first course to combine Ayurveda and Yoga with traditional recovery tools to offer a more holistic approach to addictive behaviors. Many are familiar with mindfulness these days, and we have all experienced love in some form. The program is geared towards people who have already been introduced to mindfulness and who have seeking minds and open hearts. This introductory course is suitable for Yoga teachers, bodyworkers, active seniors, and beginning Yoga students. Regardless of age or ability, you will learn practical and effective skills which you can immediately incorporate into your classes and/or home practice. 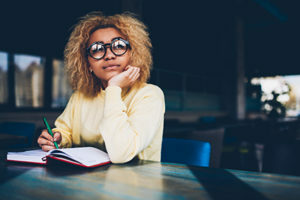 Explore the deep connections between writing and Yoga in this experiential workshop designed to help put you in touch with your innate creativity. Raja Yoga is the royal yogic tradition of 8 major steps to enlightenment. In this workshop we will focus on the health and healing aspects of this journey. 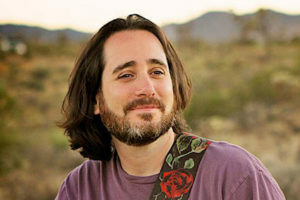 with David Newman "Durga Das"
Open your heart with song and devotion at Kirtan College. 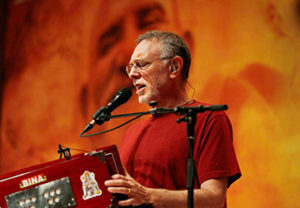 This in-depth course is designed to help all people explore Kirtan and Bhakti Yoga. This is a childcare program for guests who come to visit with children ages 5–11! While you enjoy your program, you can feel confident that the kids will be well looked after by our experienced staff and entertained through a variety of fun activities. In this workshop, you will explore the underlying cause of all suffering and how Pranayama (breathing practices) can be a tool to overcome it. 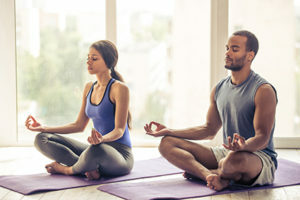 You will refine and deepen your practice of the various yogic breathing techniques and utilize deep relaxation (Yoga Nidra), pranic (life force energy) healing visualization, and meditation to amplify the benefits. Get your certification to lead Laugha Yoga sessions and bring the healing and uplifting practice of intentional laughter to others. 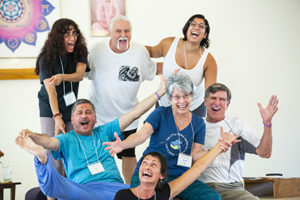 Laugha Yoga is an ancient, new idea for reconnecting us to our true Self. 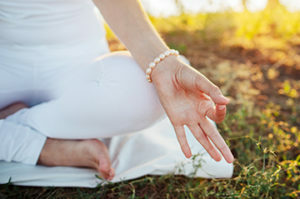 Through yogic laughter sessions, Laugha Nidra® (guided deep relaxation following the laughter), pranayama (yogic breathing practices) and meditation we can reach a profound level of peace, joy, and relaxation. 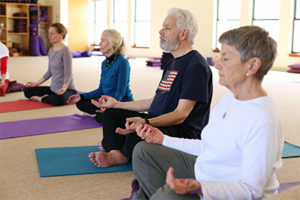 Refresh and enliven your meditation practice with a weekend meditation retreat in the supportive atmosphere of Satchidananda Ashram. Join Padmasri for a workshop designed to help you develop core awareness and improve core stability through the practice of Yoga asanas. with Amrita Sandra McLanahan, M.D. Join us for a healthy measure of midweek wellness that will provide you with powerful yet simple tools to help you feel refreshed and at ease. Midweek Seminars not only offer special lectures to help you deepen your practice, but also allow the time, space, and guidance to relax and go within. This is the perfect opportunity to embrace the quiet of the Ashram and the knowledge of its teachers. During this weekend, you will have the opportunity to engage in self-study and reflection in regards to your own patterns and stories of motherhood. By becoming aware of these patterns, you can reimagine the roles and interactions you have as a mother. Knees and hips play a crucial role in the easeful movement of the human body. Learn how to keep them strong, light, and limber during this enlightening weekend with Madhavan. with Mukta Kaur Khalsa, Ph.D.
A life of freedom, health, and autonomy is your birthright. 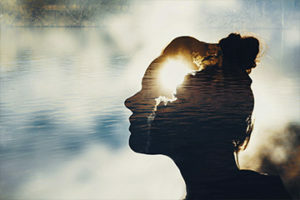 Discover practical techniques to heal from the effects of harmful substances and addictive behaviors during this instructive and experiential training. with Marsha T. Danzig E-RYT 200, C-IAYT, M.Ed. This program is appropriate for Yoga professionals, amputee Yoga practitioners, physical therapists, occupational therapists, prosthetists, and recreational therapists. You will leave this weekend with effective, repeatable, and inspiring tools for your amputee clients that are beneficial for the body, mind, and spirit. 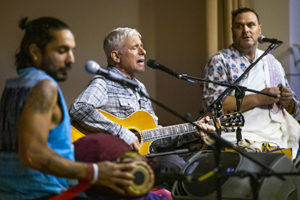 Join Grammy-nominated artist Jai Uttal for a kirtan and Bhakti Yoga workshop that will fuel your soul and help reconnect you with the Divine. October 26, 2019, $30 advance purchase / $40 at the door As part of Awakening Bhakti Weekend Workshop, Jai will perform a special concert for the Saturday night satsang. All are welcome. 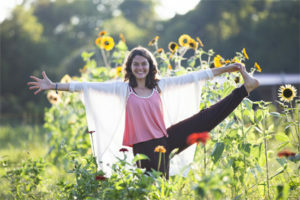 Interweaving her skills as a psychotherapist, Yoga teacher, and laughter leader, Sam will help you rediscover joyful living. 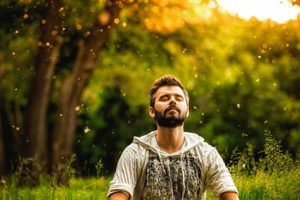 If you’ve tried meditation or mindfulness, you may have discovered that your mind suddenly became very active, making it seemingly impossible to meditate. This program is being held at our Shri Nivas Retreat Center. For more information about the this retreat center please click here. 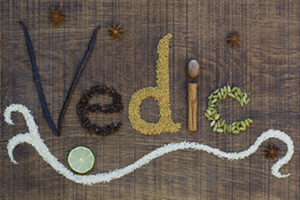 Join us for an enlightening weekend in which you will learn Ayurvedic diet principles and how to achieve optimum health. 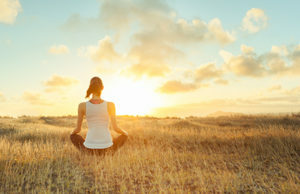 Learn the principles and practice of iRest Yoga Nidra meditation and experience the variety of ways iRest can be used on and off the mat during this experiential workshop. 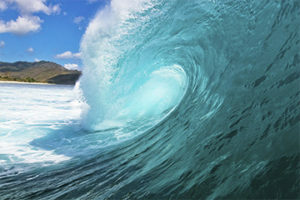 Looking to live life with clarity and vitality? Concerned about your brain health? 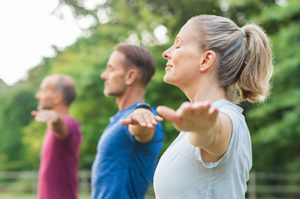 Join Jane Stelboum to learn how Yoga practices and lifestyle choices can help you achieve brain longevity through this engaging and experiential workshop. 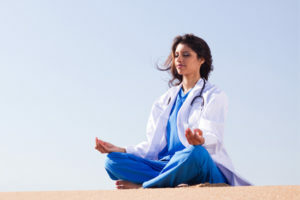 Explore the field of lifestyle medicine and medical Yoga through mindfulness meditation, stress management, guided imagery, and breathing strategies. This program into the self is ideal if you are open and ready to create a radical shift in your life. Throughout the weekend, Faith will guide you through a spiritual journey layered with gentle flows, Your heart will open with healing chants, transformational sounds, expressive creative writing sessions, and sister circle conversations. 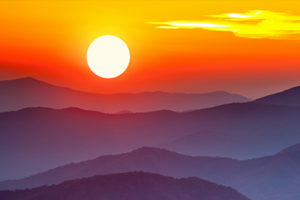 Come be inspired, awaken dormant energy, and take home practical tools to elevate your soul. Becoming a true teacher of Yoga involves a never-ending quest to continue learning and improving your skills. Join Swami Asokananda this weekend to enhance your teaching abilities so that you can better serve your students. Release physical tension that manifests in the body and mind. Join us this weekend to discover the secrets of the Tantric tradition and learn a complete, foundational toolkit for your yoga practice. Join Bharata Wingham for this weekend focused on what allows us to effortlessly be grateful in life. 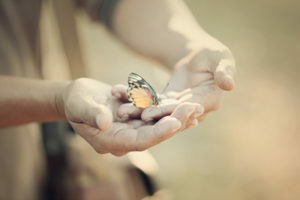 Going to the heart of what we can undo, not on what we must do to be grateful. 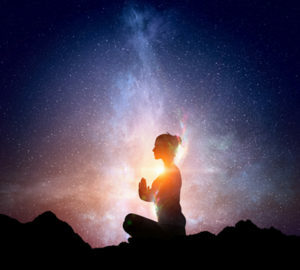 Centering on developing an ability to experience gratitude regardless of everything that might seem to get in the way. 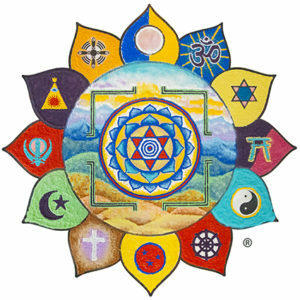 Immerse yourself in sacred sound and mantra study, discuss philosophy, enjoy Yoga, and practice meditation. 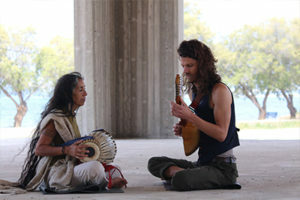 Experience the intimacy of music, poetry, mandalas, and storytelling as foundations of meditation and spiritual practice. 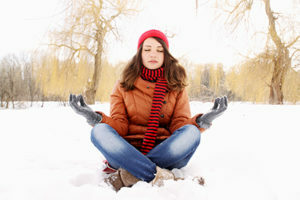 During the holidays, we are often preoccupied with the season’s hustle and bustle. Join us for a Yoga tune-up this holiday season. Restorative Yoga is a simple, effective antidote to stress, tension, and anxiety. In this practice, your body is placed in gentle, supported asanas.